It all starts with the freshest, highest quality ingredients and a dash of science. Nitrogen is a common element found in the air we breathe. When it’s cooled to -321oF, it becomes a liquid. As soon as the super-cooled liquid is introduced to the room temperature air, it immediately starts to turn back into a gas leaving a cool white fog behind. Instead of handling the liquid nitrogen directly, our station is self-contained. Ours is the only patented process for dispensing liquid nitrogen with a cryogenic vacuum hose into an open container – a safer, more controlled process. 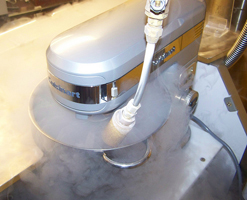 Liquid nitrogen doesn’t add any flavor to the ice cream or sorbet that we make – it’s actually a technique to flash-freeze the ice cream. 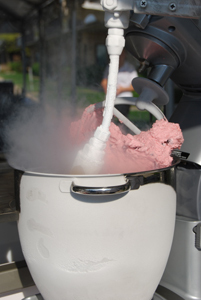 The liquid nitrogen is a cooling agent – not a food additive. 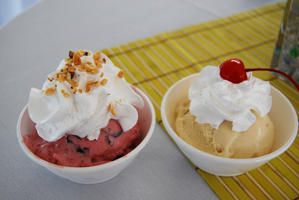 Commercially made ice cream is mostly air and large ice crystals. 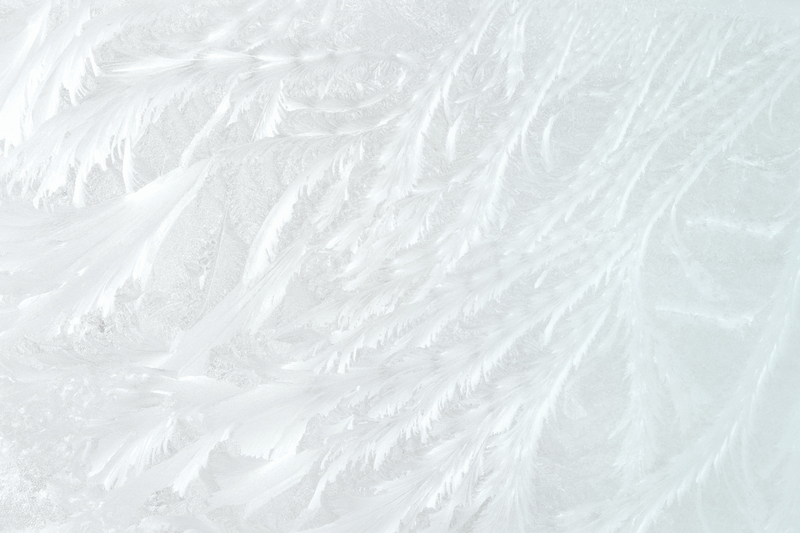 Since liquid nitrogen is so cold, the mixture is flash-frozen leaving smaller and fewer ice crystals, which means a richer and creamier product. 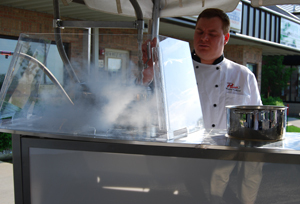 We use a stand mixer to ensure that our product remains consistent throughout your event. Our ice cream looks and tastes like regular ice cream - only better! Your guests will be coming back for more!